​ - New Jersey farms! 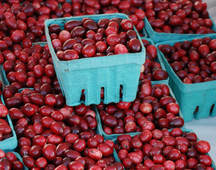 City Guy, dressed in his suit and tie with his brief case in hand, takes a tour of a real New Jersey dairy farm, cranberry farm, and vegetable farm. At each stop, his tour guide is a young farmer who explains how food is produced on the farm and shows him all the work that must be done to bring it to him. Meet the City Guy. He buys his favorite foods - milk, cranberry juice, vegetables - at the supermarket, and never wonders how this food got there. 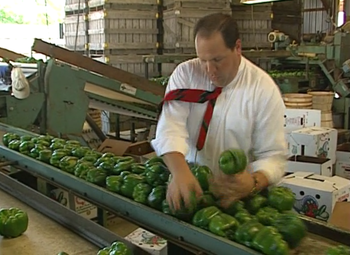 In the video, City Guy is transported to three New Jersey farms to learn where his food comes from and to meet the hard-working farmers who grow it for him. 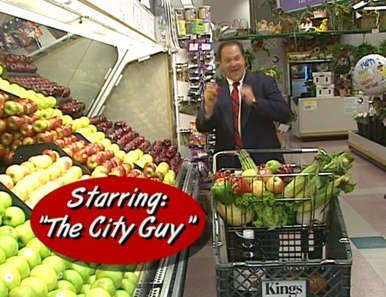 Your students will laugh at the adventures of City Guy on the farm in this charming presentation as they learn about the New Jersey farmers who ensure that their supermarket shelves are full of food for their next meal. The New Jersey Agricultural Society's amusing and engaging 28-minute video that shows children where their food really comes from - New Jersey farms!